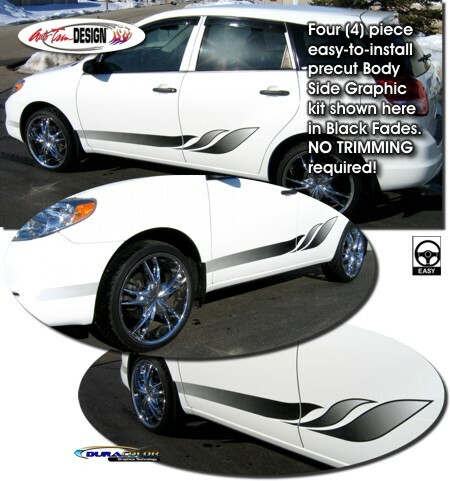 Set your '03-'08 Toyota Matrix apart with this awesome looking Body Side Graphics Stripe kit. They're precut and ready to install in one of four (4) colors! Starting as solid at the front, the graphics fade to your vehicle's paint scheme to the back as shown. Graphics come packaged as a set of two (2) pieces.